Love, Mrs. Mommy: True Club Makes Shopping Healthy So Much Easier! True Club Makes Shopping Healthy So Much Easier! This is a sponsored post, however I only share with my readers information that I find helpful, informative, or fun. All opinions are my own. Maintaining a healthy lifestyle is important. Not only should we be watchful of what we eat, but also the products we use in our daily life. Browsing the supermarket shelves, you are often inundated with products that are less than ideal for our health. Sometimes it’s hard to ignore all the sales, so I have made a conscious effort to do research on the products I am looking to purchase before I go to the store. This way I have my list and know exactly what I want before I even leave the house. But now, I have something even better! I don’t have to do my research, or even drive to the store for that matter, to buy healthy products for my family! I have partnered with True Club and I can’t wait to tell you all about their amazing website! You are going to love what they have to offer! 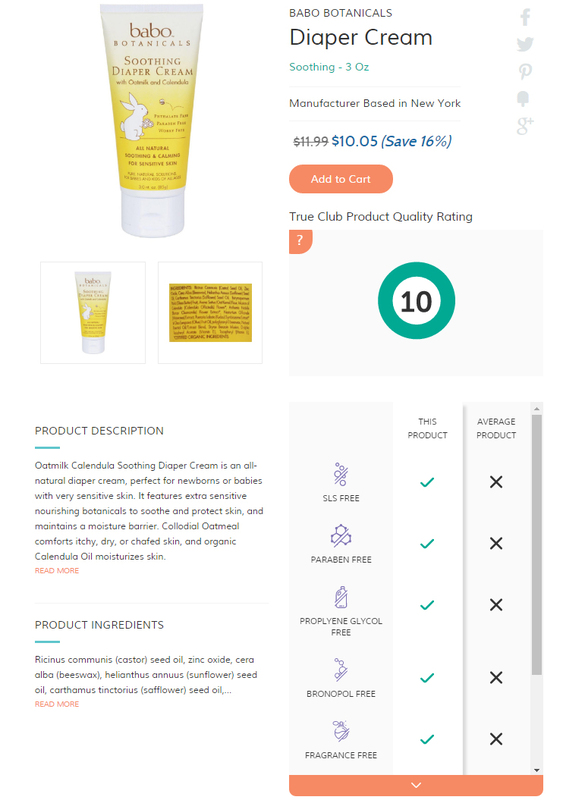 True Club was founded for the ingredient-conscious consumer and have developed an easy to understand numbering system to rate all the products on their site. These ratings give you an overall ranking of the product’s safety, nutritional value and sustainability. 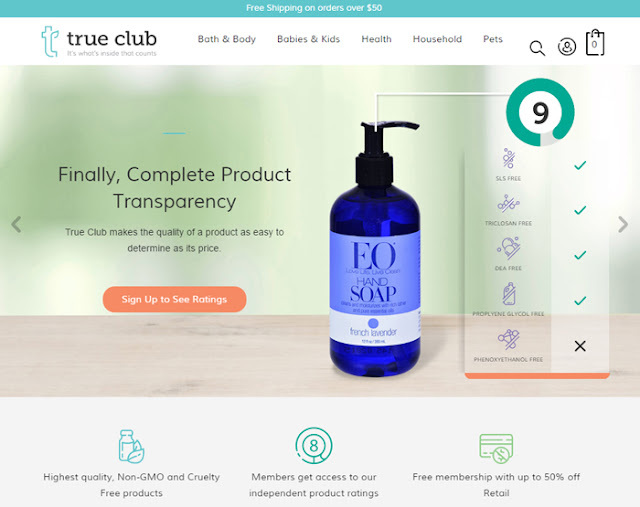 True Club has taken all the work out of researching and has gathered together a wide range of healthy products for you to browse, right at your fingertips. 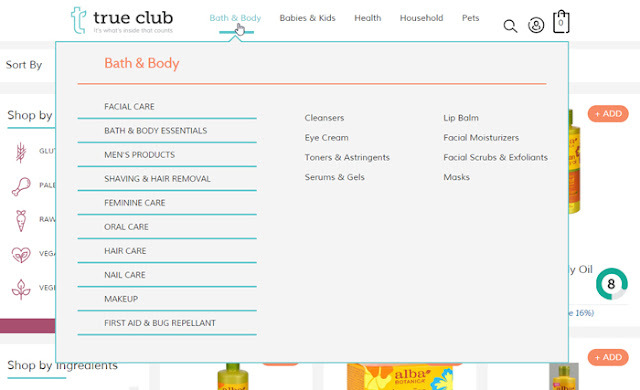 They carry everything from bath and body to household supplies and even items for your pet! True Club has an amazing set of core values! They believe in quality, simplicity, transparency, and value. They have made sure to select only the safest and highest-quality products and they are all non-GMO and cruelty-free. They present to you the important facts about each product in a clear, straight-forward way and you get the products you need at great prices! 1) We curate the safest and healthiest products for you. 2) We evaluate each product to determine its safety, nutritional value and sustainability. 3) We assign each product a score in those three key areas. 4) We present that information simply—showing you the results and the results of the evaluation on a typical supermarket product for comparison. 5) Lastly, we make it easy for you to get our products with our warehouse prices and fast delivery. To be able to view their numbering system you need to register for an account. It’s super simple and only takes a few seconds. Once you do, you will see True Club’s ratings next to each product. They put this rating right on the initial image of each product, which is perfect for easy scanning and browsing. I appreciate the fact that True Club has not only done their research (which saves me a ton of time! ), but they have also made shopping on their site a breeze! You can even shop by diet, ingredients, nutrition, and environment! 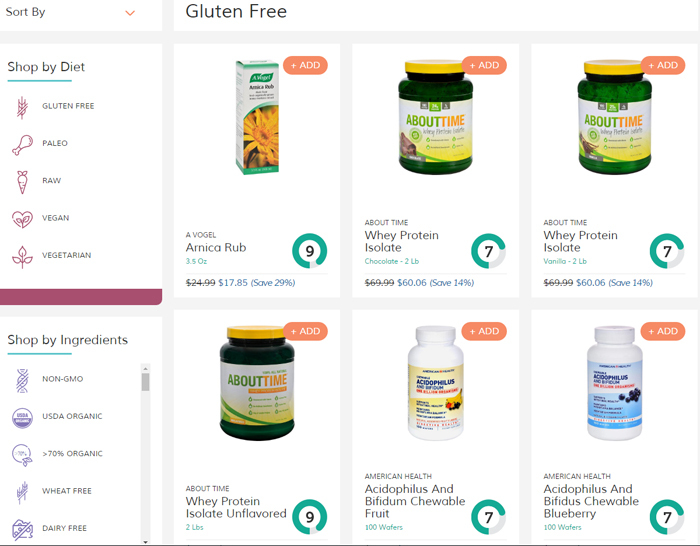 If you are on a gluten-free diet, just click the corresponding link and you will find 42 pages of products that are in alphabetical order (all products when searched show up in alphabetical order)! How neat is that?! With all of this at your fingertips, and at no membership cost to you, let True Club become your trusted source for the best ingredients, advice and service. Use the time that you would spend researching and pondering over products for your family, with your family instead. Plus, why spend time and money running to a bunch of stores to pick up the items you need, when you can have everything shipped directly to you! True Club sounds awesome. My boyfriend & I have been trying to eat and maintain healthier lifestyles so I'd definitely check this out. I love this!! I love that it helps you pick just whats right for you!! I think we should be so aware of the chemicals we expose ourselves to everyday!! Aw man. I've been missing out. I had no idea about this. Thank you so much! True Club sounds awesome. I like that it helps me pick what is right for me. What a great concept! Its like they are doing all of the research for you...I would still have to follow up but its nice that they make it so much easier. Never seen this site. And you are so right...no need to run to so many stores when I can order it and ship it straight to my home!